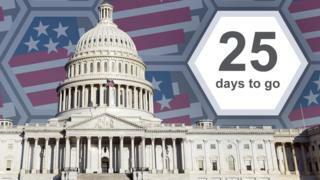 There are three-and-a-half weeks until the US elections that will help define the rest of Donald Trump's presidency. The mid-term elections will see people vote for members of both chambers of Congress, as well as for governors in 36 out of 50 states. Between now and then, we'll bring you updates and all the best analysis every weekday in this round-up. Today's round-up looks at the role young people have to play this year, and includes one seriously catchy song. There were two reports yesterday that Republican campaigns have just been handed a major new donation from Sheldon and Miriam Adelson, the Las Vegas casino giants. Politico said only that it added up to "tens of millions of dollars", the New York Times said that it was actually $25m, a figure that would push the Adelsons' donations this year close to the $100m bracket. The money was reportedly given to two Republican "super PACs" with the aim of maintaining Republican hold on Congress in particular. The $100m sum was, the Times said, "a staggering sum for one family to give in any election year but especially one without a presidential race". The Adelsons and the Trumps, both at one point among the biggest names in the casino world, have some history too: the Adelsons were among the most generous donors to his presidential campaign, and gave a hefty cheque for the costs of his inauguration in January last year. Two days ago, ProPublica reported that Trump had personally lobbied Japan's President Shinzo Abe to grant a licence for an Adelson casino in Japan. The White House hasn't commented. 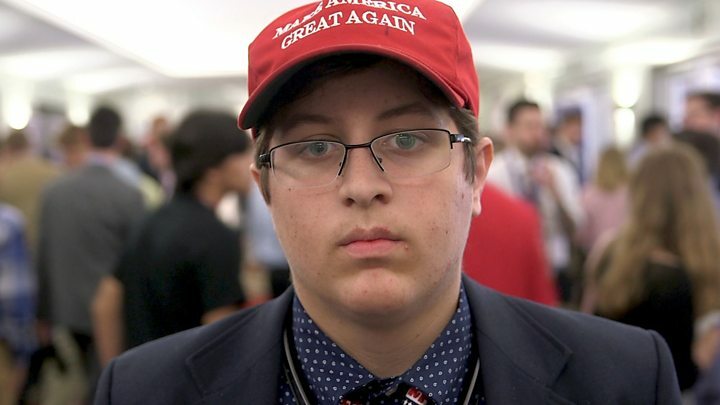 Will young people turn out to vote in the mid-terms? It's a question we raised two days ago - and Democrats certainly hope the answer this year is Yes. Voters in the mid-terms tend to be older, white and Republican, and youth turnout always drops in the mid-terms compared with presidential elections, as this chart shows. But on the other hand, engagement doesn't always mean young people turn out to vote on mid-terms day - that might be the case this year as well, even with incentives that are on offer, as Hugo explains. Media caption"It's tough being young and Republican"
Country music's elder statesman Willie Nelson has popped up in the race for senator in Texas this year - not as a candidate, although that would have been entertaining, but as a supporter of Democratic nominee Beto O'Rourke. Nelson has performed a new number in rallies this year, called Vote 'Em Out ("The biggest gun we got / Is called the ballot box / If you don't like who's in there, vote 'em out.") And now, he's released a recorded version of the song. It may be a little late for O'Rourke though, despite his musical talents or impressive fundraising skills. According to the latest figures, he raised $38.1m in the past three months - mostly through small donations - which is more than triple the amount raised by his opponent Republican Ted Cruz. Texas Republicans admit that they were caught off caught by the size of O'Rourke's war chest. But his campaign better spend it quick. They are struggling to make a dent in Mr Cruz's lead (one Quinnipiac poll on Thursday gave Cruz 54% of the vote, to O'Rourke's 45% - a similar gap to the one the New York Times' intriguing live poll of Texas voters settled on). Either way, here's Nelson's song for you to enjoy (regardless of your political persuasion). Have a good weekend - we'll be back on Monday.